We know that schools can be busy places. So, we’ve made it easier than ever to secure your tickets – just follow the 5 simple steps listed below. The chance to win primary maths book bundles, hand selected by Anita and valued at $142 each. Ready to register? Book your tickets now! Decide how many tickets you need for your team (maximum of 8). Then, one person – your Conference Organiser – buys tickets for your team and receives one invoice/receipt. Enter ALL DETAILS NOW if you already know who you want to send and their session selections. To help you quickly gather this information we’ve created PLANNING SHEETS for you to print at Step 3. 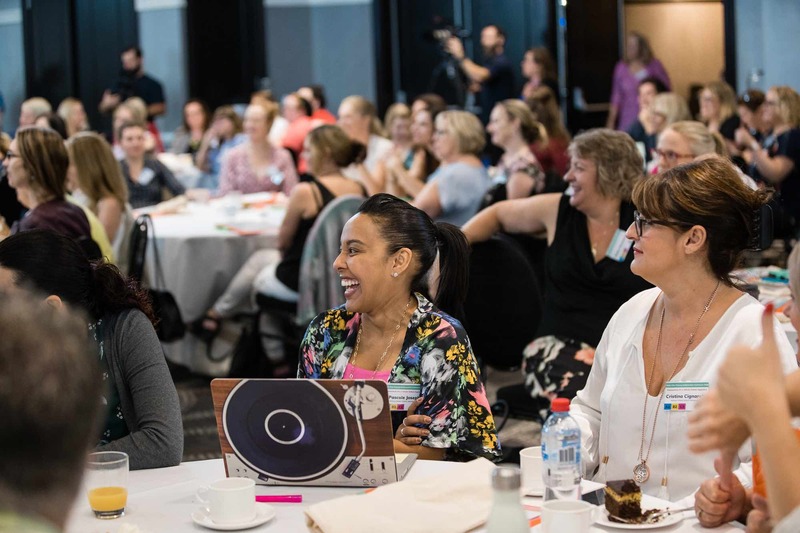 Remember: seats are limited for sessions, so if there’s a presenter you’d really like to see, get your selections in quick to reserve your spot. First in, best dressed. All details and session selections must be provided by Friday 5 July 2019 (last day of Term 2). Principals, Deputy Principals, Assistant Principals. 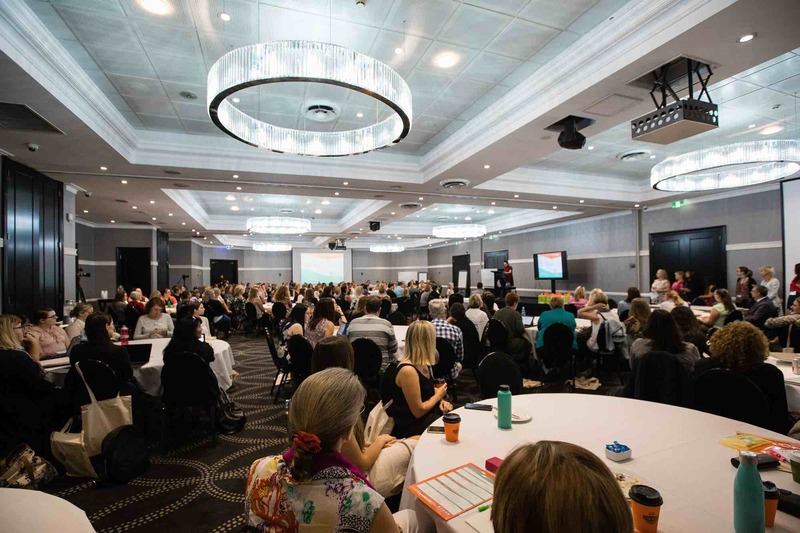 Because this is a team-based conference, it’s an excellent opportunity for you to gather a team of classroom teachers and leaders so you can hear the information first-hand and come away with a consistent approach to differentiation at your school. 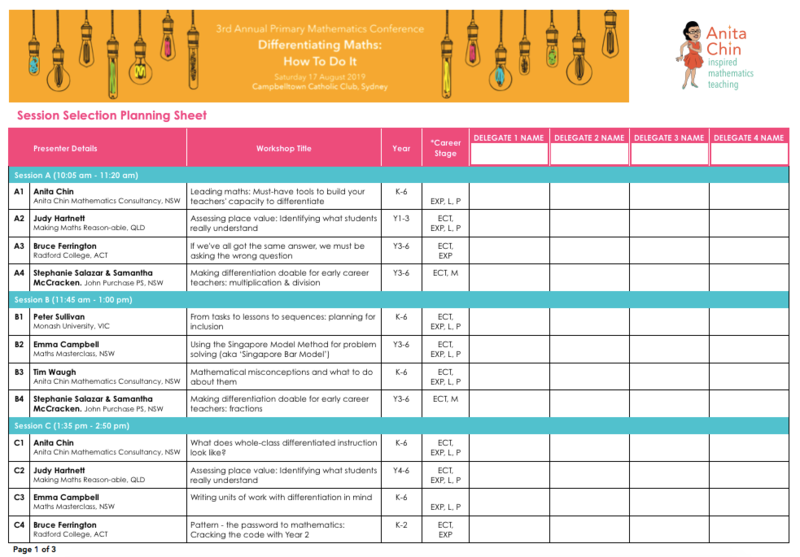 Use this sheet to strategically plan your team’s selections by workshop year level (K-6) and teacher career stage (ECT, EXP, L, P. Details on page 2) to gain maximum benefit for your school. There are three concurrent sessions, each with four workshops to pick from. You can find the list of sessions on the Program page. Gather each team members details as shown on the Delegate Details Sheet from Step 3 so they can receive reminders and updates. 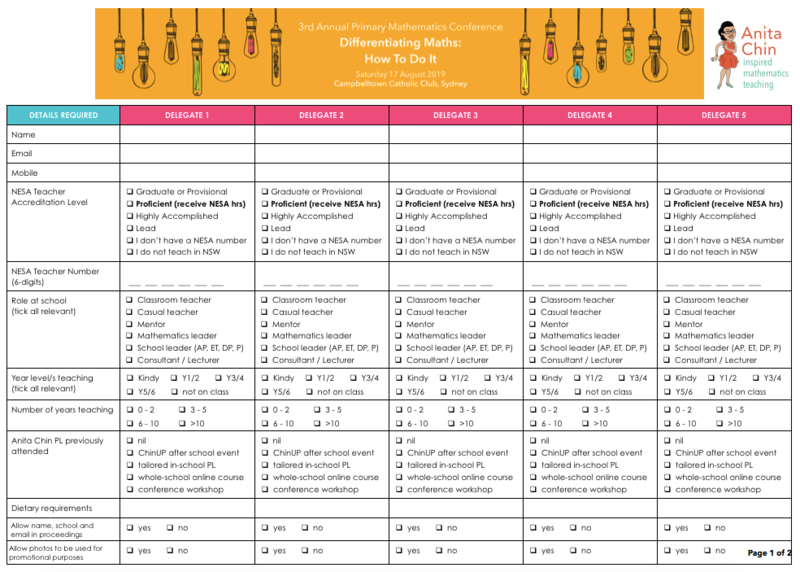 Record these carefully on your on Delegate Details Sheet for your Conference Organiser to use. Note: Please ensure NESA Teacher Numbers are 6-digits. 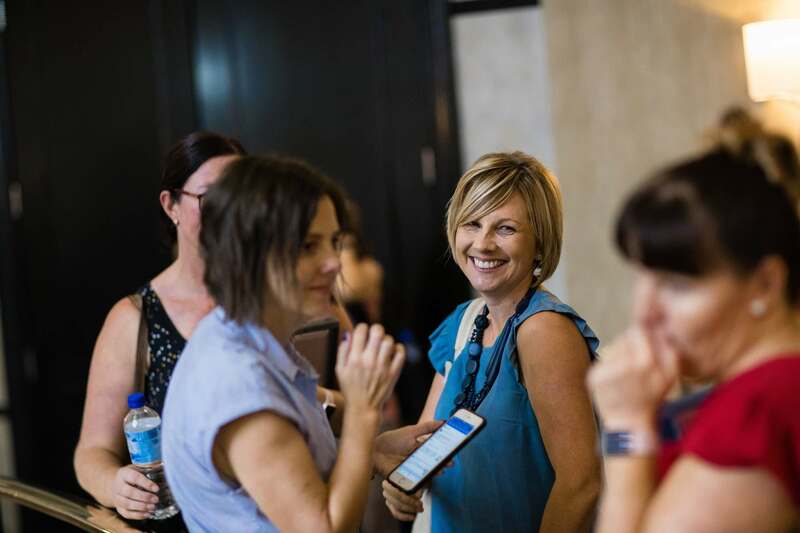 Once your Delegate Details Sheet & Session Planning Sheets are completed, the Conference Organiser (the person who completed the online registration) can update all delegate details and session selections directly online using the Eventbrite link contained in the Confirmation email they received with your team’s tickets and invoice. See how to do this here. Any problems, just reach out to Cindy Pellas via email cindy@anitachinmaths.com.au. 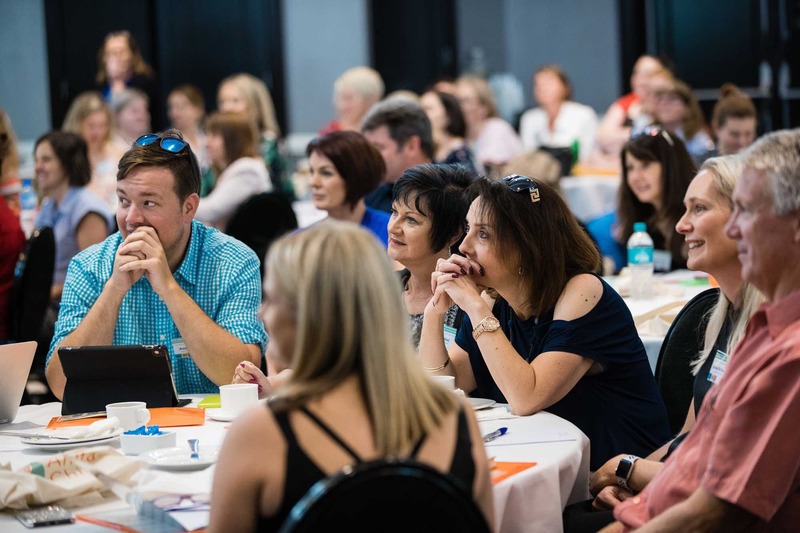 IMPORTANT: All completed details must be received by Friday 5 July 2019 (last day of Term 2) in order to attend your sessions and qualify for NESA PD hours. Registration can be transferred to another staff member at your school at no cost. However, workshop selection changes are not guaranteed. All changes must be received in writing by cindy@anitachinmaths.com.au before Friday 5 July 2019 (last day of Term 2). No cancellations or refunds permitted.